This excerpt is part of a retreat recommended for catechists, designed by the author. Find that article here. Catechists are companions when they walk with parents, listening to them, affirming their strengths, supplementing their weaknesses, giving hope, offering support, speaking encouragement, and sharing Scripture. Parents will be receptive to companion catechists who present themselves as colleagues and partners on the journey. They get defensive and resistant when they perceive that the person holding the title of catechist is rigid, judgmental, and critical, or flaunts power, authority, or knowledge. BEING is the critical factor in the vocation of catechist. The most skilled educational practice in the world (DOING) will fail to evangelize if BEING is neglected. It is the person of the catechist that attracts; not the organization of a class or program tactics. 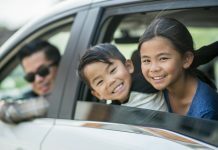 Therefore, before we speak of strategies, techniques, and activities that catechists can use to evangelize, support, and partner with parents, it is essential to reflect a bit on those two critical catechist components: character and function. Catechists often deal with the same pressures that weigh on parents. Many, after all, are parents themselves. But the life experiences of catechists ignited the fire of evangelization in their souls. Perhaps religious formation was part of their upbringing and drew them to religious study and practices. Or they recognized a religious atmosphere in the home of a friend and desired it for themselves. For some, participation in church/parish life attracted them and they responded by pursuing an adult spiritual life. Ideally, early on they recognized that “passing on the faith” was a dynamic pursuit, not a static objective. They learned that “the faith” meant getting to know, love, and serve God in imitation of Jesus. They pursued a personal relationship with Jesus. They took advantage of formative experiences like retreats, spiritual direction, prayer groups, and spiritual events. Humble catechists acknowledge that “there but for the grace of God go I.” Translation? 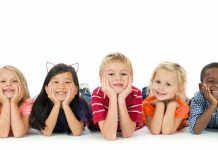 Ideally, catechists resist the temptation to judge parents for seeming to be uninvolved in the religious formation of their children. Rather than criticize inactive parents, humble catechists thank God for the grace of their own vocation, and they ask God for the insight, generosity, and creativity needed to fulfill their roles. All baptized and confirmed Christians possess a God-given duty to evangelize, that is, to introduce every person to Jesus, his message of salvation, and the joy of the gospel. For the catechist, this call includes being a prophetic minister to parents. Both the United States Catholic Catechism for Adults (p. 134) and the General Catechetical Directory (GDC 237) affirm that lay catechists, more than priests and religious, are in a unique position to directly infuse culture and society with the gospel. Catechists are lay prophets in the church. In her book The Prophetic Spirit of Catechesis: How We Share the Fire in Our Hearts, Anne Marie Mongoven, OP, notes that catechists “share in the charism of prophecy, a gift given by God which enables the prophet to nurture, to nourish, and to evoke a consciousness and perception alternative to the consciousness and perception of the dominant culture” (p. 275). We bring Jesus to others by what we are. We evangelize more effectively by our being than by any task we perform. Pope Francis described three elements necessary to BEING a catechist. First comes the vocation—a call to be like Jesus. Assigned responsibilities, preparation, and task performance follow—a call to do for/with Jesus. Being courageous…Not being afraid to go with Jesus to the outskirts, going outside our comfort zone, to be faithful, creative, flexible, able to change, able to adapt to the people and situations that are in need of having the gospel proclaimed. Because catechists share the complexity of contemporary lay life, they are uniquely positioned to be a sign of God’s love, to nurture parents, to nourish their weary spirits, and to arouse consciousness of Jesus’ personal, passionate love for them. Today, Jesus relies on catechists to be good news and to bring his Good News to children and their parents. A catechist’s vocation is a blend of three prioritized functions. The catechist is, first, a witness; then, an educator; and, lastly, a teacher. Let’s look at these roles while using Pope Francis, the church’s primary catechist, as an example. “The first form of evangelization is witness” (St. John Paul II, Redemptoris Missio, 42). Primarily, a catechist must be an animated witness of the faith. This means that others observe that the catechist has a personal faith relationship with Jesus that sparks life within him/her. The catechist exudes vim, vigor, vitality, and enthusiasm for Jesus, for others, and for the mission of spreading the gospel. Consequently, the energy of the catechist attracts others. It brings light to situations of darkness or confusion. Pope Francis is the model of an “animated witness.” His ready smile and welcoming demeanor make him warm and approachable. In fresh, unrehearsed ways, through word and action, and with a twinkle in his eye, Pope Francis communicates love, and it is infectious! It is the role of the catechist to “go and do likewise” (Luke 10:37). Never underestimate the power of a smile. Like the Holy Spirit it “melts the frozen” and “warms the chill” (Sequence of Pentecost). Initiate gestures of hospitality and welcome: greeting by name, place cards, including in conversation, asking advice/opinion. Display a patient and helpful attitude/approach, especially to parents who are delinquent in responding to your efforts. Witness Christian values. Practice redemption and reconciliation—restoring balance to a relationship after an altercation. Demonstrate justice—extending a smile, second chances, an open listening to each parent without partiality or preference. Safeguard the human dignity of each parent. Be respectful and confidential. The second function of a catechist is to be an educator, a mentor—one who “walks the walk” through ages and stages. By example and sharing, the catechist illustrates that “the faith” is a dynamic, lively, active process rather than a static condition. The catechist demonstrates that “the faith” is a lifelong, continual conversion to Jesus and a growing relationship with him. Far from appearing to have all the answers, the catechist’s life illustrates that growth is a process, that we are all on the journey home. The catechist readies others to encounter Jesus and to be encountered by him. Encounter leads the soul to enter into personal relationship with him. Catechists are educators when they testify to how grace has been operative throughout the ups and downs of their lives. They educate when they testify to the fidelity of God despite their own imperfections, mistakes, and sins. They understand that faith life is an ongoing process, that faith is more a matter of personal relationship than observance of laws and obligations, and that spiritual maturity is the product of a long season of growing. They embody the agápē love that Jesus lived. Prayerfully remember God’s presence in your personal history. Trace the ways of grace in your lifeline. Once you “appropriate” your history of grace, you are more likely to share it in unassuming ways. In so doing you will give glory to God and educate parent souls. Let your speech convey that you are one with the listener—not above or apart from the person. Perform “moral miracles.” With God’s grace, choose to show love to parents who vex you. Love initiates, welcomes, acknowledges, includes, invites, respects, gives second chances, asks advice, accommodates, and forgives. Faith life is a gradual process, a lifelong journey. Share highlights of your faith development history with parents. Testify to the difference God makes in your life. Only if the catechist is first a witness and then an educator can the catechist be an effective teacher (an instructor) of the faith. In culturally age-appropriate ways, the teacher-catechist transmits the word of God from Scripture and Tradition. Additionally, she or he knows well, and integrates content from, the Catechism of the Catholic Church. The catechist-teacher realizes that instruction will fall short if he or she is not primarily a witness to Jesus and the joy of his gospel. Clearly, Pope Francis is a premier teacher. In formal presentations and in informal, impromptu conversations, his message is grounded in Scripture, historical church documents, directives of Vatican Council II, and prescriptions of the Catechism of the Catholic Church. He teaches from the heart. He speaks in uncomplicated ways. His messages are clear and succinct and delivered respectfully. Parents who are minimally, marginally, or insufficiently involved in the faith formation of their children and who are themselves in need of evangelization benefit from catechists, teachers, and administrators who communicate from a mindset of companioning camaraderie rather than a position of power. To be an effective agent of evangelization requires a vocation, a call from God, to be like Jesus in one’s own life and daily exchanges. A Jesus-relationship is the essential element of evangelization—not the ability to manage a classroom, design curriculum, or conduct a retreat experience for adults. Actually, it is possible to perform all of those tasks without a prayer life or an energizing relationship with Jesus. But without Jesus at the center of the catechist’s heart, those efforts and accomplishments will fail to set hearts aflame! Essential and foundational to the role of catechist is a prayer life centered on Jesus. Typical practices that nurture intimacy with Jesus include spiritual direction, soul companioning, spiritual disciplines, and praying with the gospel. 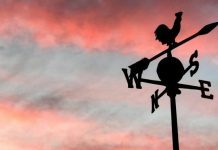 In spiritual direction you share how God has worked in your life since the last direction session, and a trained director listens to the movement of your soul, asks questions that help to clarify your experience, and may suggest a portion of Scripture to pray through. Directors might be clergy, lay persons, or religious. Spiritual Directors International (www.sdiworld.org), retreat houses, and spirituality centers are all helpful sources of information about local directors. Soul companioning involves two persons who are serious about the spiritual journey, who are willing to share with each other the movement of God in their lives, and who will maintain sacred confidences. They meet for one hour once a month or so. One shares for thirty minutes while the other listens and/or asks clarifying questions. Then the two exchange roles. A spiritual discipline is a personal prayer-life plan. For some, it means daily Mass or Eucharistic adoration; for others, praying Liturgy of the Hours or Lectio Divina or meditation; for others, fifteen minutes of spiritual reading a day, meditative Rosary, Stations of the Cross, an isolated practice, or a combination of practices. The bottom line is a pattern of prayer that is practiced with consistency. It is a spiritual discipline for catechists to give one hour of preparation time in advance of the week’s lesson to plan well and to read and pray through the material in the teacher’s guide and its references to the Catechism and Scripture. Cultivate a deep, personal relationship with Jesus. Then, and only then, will witness be possible, followed by the ability to educate (to mentor by example) and then to provide the kind of instruction that feeds the hungers of the human heart. This is what it means to be a companion catechist. Catechists can companion parents only because they are first and foremost companions of Jesus. Catechists absorb a shepherd-sensitivity because they follow and imitate the Good Shepherd. They identify with Jesus who “saw a large crowd…and had compassion on them, because they were like sheep without a shepherd. So he began teaching them many things” (Mark 6:34). Jesus had compassion…he “suffered with” his people…he moved into action for the sake of his people. Companion catechists are compelled to do likewise. Jesus calls catechists, teachers, and administrators to companion with compassion—to shepherd after his own heart and to lead with knowledge and understanding (Jeremiah 3:15). With Jesus and through Jesus, catechists develop a shepherd-sensitivity to pasture his sheep, to give them rest, to search out the lost, to bring back the strays, to bind up the injured, and to heal the sick (Ezekiel 34:15–16). These are the ways of compassion. 1. Pope Francis clarified that the vocation of being a catechist calls us to focus on three goals: being close to Jesus, imitating Jesus, and being courageous. Take time for personal meditation on these points. Though you need to cultivate all three goals, which one is your biggest challenge today? 2. What attracted you to the ministry of faith formation? What attractive characteristics have you observed in other catechists and Catholic school teachers? Brainstorm these questions with faculty/team members. Identify common elements. What commendations surface related to your corporate presence? What recommendations surface related to your corporate presence? 3. Refer to the three goals for nurturing the vocation of catechist (being close to Jesus, imitating Jesus, and being courageous). How can your school or parish assist you to develop each goal? 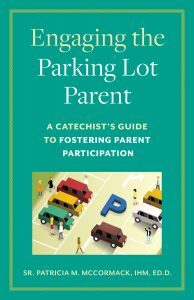 Excerpted from Engaging the Parking Lot Parent: A Catechist’s Guide to Fostering Parent Participation, by Sister Patricia M. McCormack, IHM. ED.D. ©2017 by Patricia M. McCormack. Published by Twenty-Third Publications. Used with permission. All rights reserved. Find a retreat for catechists here.